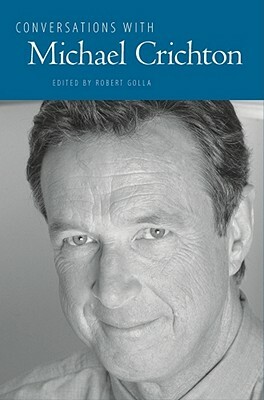 "Conversations with Michael Crichton" brings together decades of interviews and profiles with one of the world's most successful authors. Michael Crichton (1942-2008) had many careers-doctor, novelist, film director, screenwriter-but was best known to millions of readers as "Father of the techno-thriller." His novels have sold more than 150 million copies, have been translated into thirty-six languages, and have been made into thirteen films. He remains the only writer to have had simultaneously the number-one book, the number-one movie, and the number-one television show. While still a student at Harvard Medical School, Crichton's first novel, "The Andromeda Strain," became a bestseller. He left medicine and moved to Los Angeles, intent on pursuing dual careers as a writer and filmmaker. His writings had an unmatched prescience, anticipating public interest about emerging technology and controversial topics. His suspenseful plotting and technical detail were evident in subsequent novels such as "Jurassic Park," "Congo," "Sphere," "Rising Sun," "Disclosure," "Timeline," "State of Fear," "Next," and the posthumously published "Pirate Latitudes." He received an Academy Award in 1995 for his pioneering use of computer programs in film production, and was the creator and co-executive producer of ER (1994-2009), for which he earned WGA, Emmy, and Peabody awards.